February is Women in Horror Month, and also Black History Month. 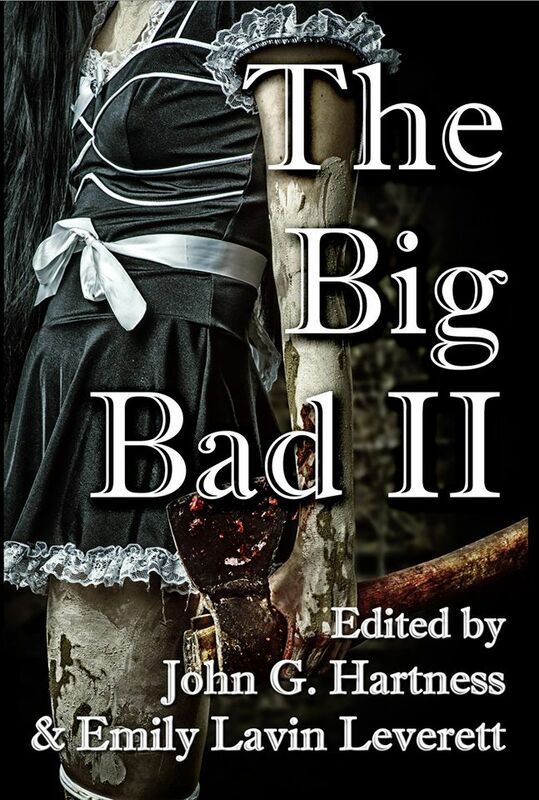 My horror contributions have been numerous in several anthologies, but none had given me greater pleasure than writing “Sweet Tooth” for Dark Oak Press’s THE BIG BAD, VOLUME 2: BIGGER AND BADDER. This awesome collection of villainy is edited by John G. Hartness and Emily Lavin Leverett. Included in this anthology are stories written by authors far more amazing than myself, such as Edmund Schubert, Selah Janel, Bobby Nash, Eden Royce, Gail Martin and Misty Massey to name a few. So, I encourage you to purchase this collection of amazing horror written from the standpoint of the villain when it drops on 2/24/15. In the meantime, you can stop by and read my guest blog about the Evolution of Evil and my horror short story, “Sweet Tooth” that is included in The Big Bad, Volume 2. In the blog I discuss the Atlanta Child Murders, 80s horrors and the real terror of growing up in a housing projects.